In this month’s musings, Paul Tunnah explores the continued interest in medical congresses beyond the physical event and outlines how pharmaphorum is looking to facilitate sharing virtual perspectives on them from the broader online community. Cast your mind back a decade or two and most medical congresses probably escaped the notice of the average person. Unless you were a healthcare provider focused on that particular discipline, or pharmaceutical company developing new treatments for it, you probably wouldn’t even know they were going on. Events that attracted tens of thousands of the finest scientific and medical minds in the world didn’t exist so far as the rest of us were concerned. There might be a bit of mainstream news emerging from them, perhaps even a piece on channels like the BBC or CNN about some exciting new drug results that could signal the arrival of a breakthrough in medical treatment for a particular group of patients, but even then the congress from which the announcement was derived would be a footnote, if that. Step forward to where we are now and that picture is changing very rapidly. If you look at some of the bigger medical congresses, digital and social media communication is bringing them to a much broader audience. If we consider Twitter alone, the American Society of Clinical Oncology (ASCO) annual meeting this year saw almost 150 million Tweets sent with the #ASCO14 hashtag over the week of the event, from almost 7,500 Tweeters, according to Symplur. In cardiovascular disease, the European Society of Cardiology congress also saw over 100 million Tweets sent in relation to it over the week of the recent event, from over 4,000 participants, marking a fourfold increase in the number of Tweets for the same event in 2013, which came from half the number of participants. The number of attendees to these large events is in the range of 20,000 to 30,000, and what we’re now seeing, according to research from Len Starnes, is that virtual attendees are outnumbering physical. This alone underlines the important role digital and social plays. So what has driven this remote interest in such events? Is it simply that there are many doctors who cannot find time to attend and still want to follow proceedings? Probably, but a brief examination of the commentary around these meetings shows that it is awash with not just qualified practitioners of medicine, but also media and, of course, patients and their families and carers. In turn, this has driven increased interest in the actual congresses from such groups, including patients, who have come to recognise that they are a key time to get up to speed on the latest challenges and developments that could impact them personally, both from a pharmacological standpoint and with regard to broader issues, such as diagnosis, support services and so on. I believe that this broader interest will only strengthen the value of such medical congresses, and it is good to see so many of them embracing it, albeit as they work to ensure that they do not fall foul of a regulatory environment that seeks to protect the patient from being exposed to individual product information (the merits of which need to be constantly assessed and have been covered by me before). However, Twitter is not always everyone’s cup of tea (as we say here in Britain), nor is the shorthand nature of it always the most conducive to more in-depth information sharing and discussion. With this in mind, we’re trying something new here at pharmaphorum around the upcoming European Society for Medical Oncology (ESMO) congress, starting next Friday 26 September, and aimed at encouraging sharing of ideas and opinions related to the congress from all quarters. • What is precision medicine? • How does precision medicine impact R&D? • How does precision medicine impact the cancer care journey? At this point, we have no idea how many people will get involved and we’re pretty sure we’ll learn that we didn’t get the platform exactly right first time. But the only way to improve it is to do it and we would encourage anyone with an interest in cancer, and ESMO, to get involved by posting and commenting. And, of course, my colleagues at pharmaphorum will be on the ground at ESMO in Madrid sharing their views via pharmaphorum live and seeking input and commentary from others. We have a holding page with more information up at www.pharmaphorumlive.com and the actual platform will go live next week before ESMO. Please get involved, share your stories and let us know how useful it is. 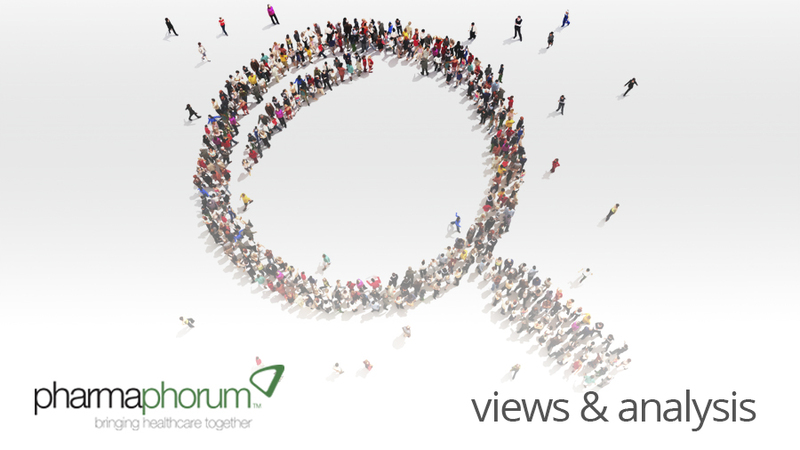 If you want to discuss contributions in advance or need more information just email esmolive@pharmaphorum.com. After ESMO, we’ll be reviewing what we have learned and looking to use pharmaphorum live again for future congresses and disease-focused events or days (so get in touch if you have ideas). Medical congresses are a great place for helping physicians stay at the forefront of their profession, but they are also becoming a powerful hub for bringing healthcare together, including non-medics and patients. Unsurprisingly, that’s something we firmly believe in. Until next month, do please get involved in pharmaphorum live and, of course, stay well. For more information on pharmaphorum live please visit www.pharmaphorumlive.com. Paul Tunnah is CEO & Founder of pharmaphorum media, which facilitates productive engagement for pharma, bringing healthcare together to drive medical innovation. It combines industry-leading content and social media engagement services with the globally recognised news, information and insight portal pharmaphorum.com, working with pharmaceutical companies, service providers and broader healthcare organisations to help communicate their thought leadership and connect them with relevant stakeholders. Have your say: How can broader interest in medical congresses be supported?